A majestic pegasus with a golden horn has appeared in Chibi-Usa’s dreams with a request—to help him and keep his presence a secret. This plea turns out to be more than a childish dream, for the fearsome Dead Moon Circus led by the villainous Zirconia arrive in town to draw out Pegasus by targeting people with beautiful dreams! 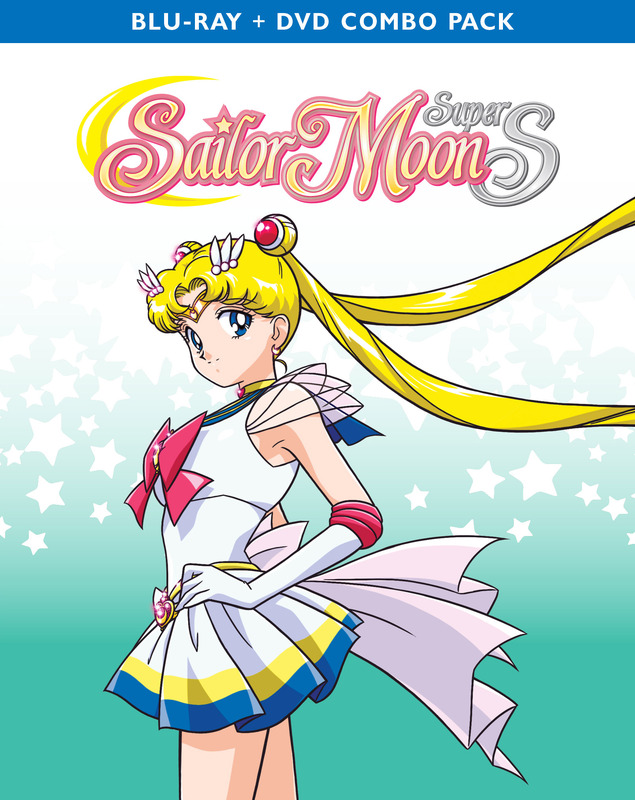 Sailor Moon and the Guardians must unite to fight a new enemy and her deadly henchmen, the Amazon Trio. But without the power to transform into Super Sailor Moon, the Guardians find themselves seriously outmatched! Will Sailor Chibi Moon’s strong desire to protect everyone be the key to accessing Pegasus’s power? This Set includes: 19 uncut episodes (ep. 128-146) and never before seen extras on 3 Blu-ray discs and 3 DVDs. Special Features: Sailor Moon SuperS TV Special, Cast Interview, Art Gallery, Opening and Ending Songs.